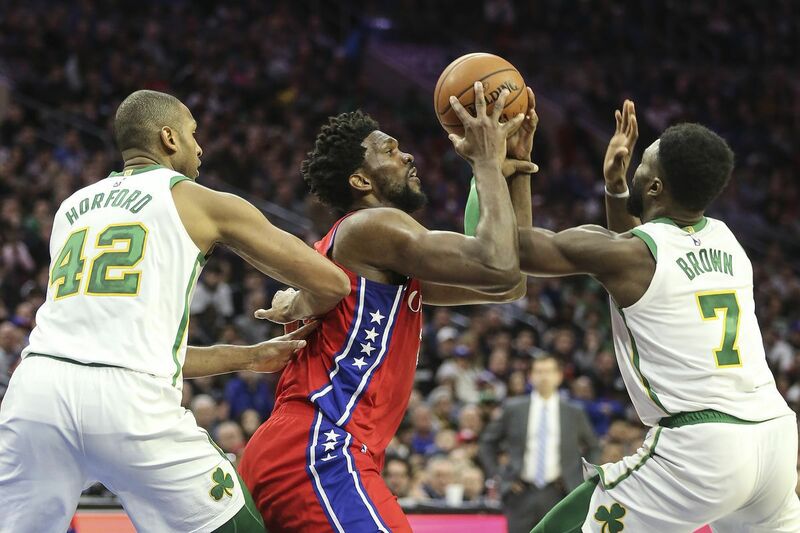 This marked the Sixers’ third game since acquiring Tobias Harris and reserves Boban Marjanovic, Mike Scott, Jonathon Simmons, and James Ennis before last Thursday’s NBA trade deadline. Philly lost to Boston in five games last season in the second round of the Eastern Conference playoffs. Brown was asked, at some point, do you have to worry about the Sixers’ inability to beat Boston being in the team’s head? “There’s sort of a quiet tournament going on with Furkan [Korkmaz] and Jonathon Simmons and James Ennis, which one of those wings will emerge,” Brown said. The coach knows he’ll need the rookie post player if he’s feels one of three wings’ performance isn’t built for garnering postseason minutes. Brown was curious to see Jonathon Simmons stalk Celtics point guard Terry Rozier on defense.